Over the weekend and just in time for the new iPad 3 launch Instapaper have rolled out a new update to their iOS application that brings with it Retina Resolution support for the new iPad together with a number of other new features. The latest update from Instapaper has added six new reading fonts which have been put through extensive testing to make sure they work on all iOS devies, together with a distraction-free, full-screen reading interface. The Full-screen mode removes the toolbar and status bar and has been one of Instapaper’s top feature requests for a number of years. 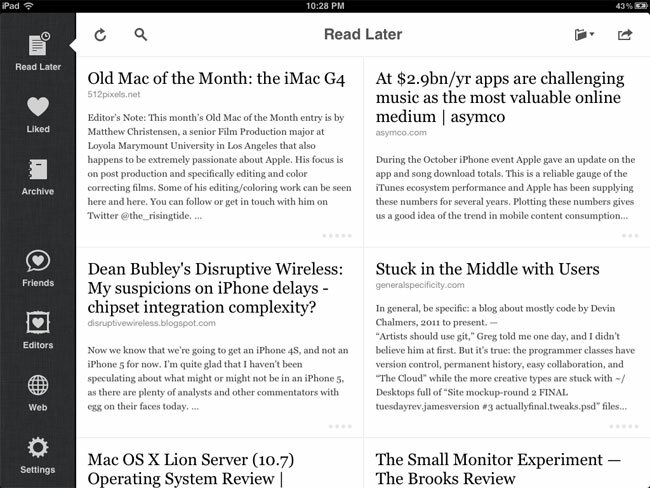 But has now finally made its way into the final Instapaper 4.1 application. Which is now available to download from the iTunes App Store for free.